The aim of the Sussex Folk Association is to promote all the folk groups in East and West Sussex. 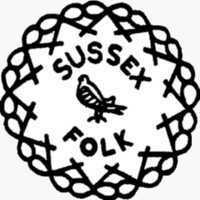 We have circulated our magazine, the Sussex Pie, throughout Sussex for many years and are now taking advantage of the internet by providing a folk club directory. We provide an events calendar which highlights special events but relies on clubs sending us the data (note: weekly gigs at a folk song clubs cannot be accommodated). If you can see errors or omissions or want to add more details on your group please let us know. The directory is free to all groups run by volunteers. The Ivan Aitken workshop date has changed to November 24th, June Axon will take the October workshop.